Since I’ve begun my blogging adventure I’ve become more and more interested in the people and process behind creating the beautiful covers that help to draw my attention. I’ve interviewed a couple of artists and wanted to see things from the designer’s prospective. When the cover for Mindy McGinnis’ upcoming In A Handful of Dust was revealed I fell in love with the simplicity, beauty and perfection of the cover. I needed to know who was responsible leading me to Erin Fitzsimmons. In speaking with her I found out that she designs many covers and I was thrilled when she agreed to answer some of my questions. Could you give us some insight into the process of developing a book cover from start to finish and which types of job roles are involved? It all starts with the Editor(s), designer, Art Director, and Creative Director. Sometimes the Editor will talk to the author to get their ideas beforehand, and sometimes we start brainstorming in-house first. We develop a few ideas within our small group, and when we have concepts we like, we show them to our Publisher as well as the Sales and Marketing teams. We work with that team to refine our concepts, and eventually settle on a direction which is shared with the Author(s). We then hire an artist to finalize the cover. The artist could be the designer in-house, a freelance designer, a photographer, an illustrator, or a digital artist. More and more we work with illustrators and digital artists, but every now and then we get to do a photo shoot. After we finalize the cover, we’ll show the accounts (and cross our fingers) and if all goes well, the cover is done. The last steps are designing the full jacket, and determining specs…also known as the fun stuff! Did you always know that you wanted to be a designer/artist? Yes, in some form or another! I grew up in a very artistic family. My parents both went to art school, and I wanted to follow in their footsteps. The medium I loved best was photography, and I wanted to go to school for it, but my parents (wisely) encouraged me to find a broader field of study. Luckily, I found the Gallatin School at NYU. Technically my “major” there was photojournalism, but I actually spent my four years studying visual storytelling. From there, I started a job in photo editing for a small publisher, and I found myself designing book covers a year later! It was love at first design. I imagine you design many versions before a final is approved on, how long of a process is it typically and how many versions might there be? So many! I have a hard time editing myself, so I will usually do way more versions than I need to. Often I find that I need to get a lot of bad ideas out of my head first, and then I’ll arrive at some good ideas. The whole process can take anywhere from two weeks (very rare) to a few months (most likely). At our very first presentation, we like to show a number of different concepts, and that can range anywhere from 2 to 20 (usually somewhere right in the middle, at least for me!) Hopefully from there we’ll settle on one concept, and it will take a month or so to execute, depending on whether we hire digital artists, or do a photo shoot. Do you get to be involved with all the different aspects of the cover design? I do! And I love it all. At Harper, we design our own jackets, interior, and cases. 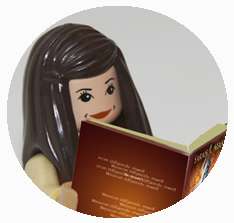 We have the opportunity to conceive of the book as a whole, and integrate our design throughout the entire package. You’ve designed many book covers; could you tell us some of your favorites? Am I allowed to choose favorites? I love so many, I feel awful choosing! That said, I definitely feel more of a connection to some designs. Tease, Blackout, Cruel Beauty, Not a Drop to Drink, and Taken all stand out for me because I was really able to explore my own crazy ideas from concept to finish, and somehow they worked. Even in Paradise is probably my most recent favorite; it just embodies the entire book in an image. And the original blue Delirium cover will always have a special place in my heart! You also choose the type for the book’s title, etc. How does this help to set the tone of the book? As a self-proclaimed type nerd, I find the typography to be integral to the cover design. I came from a background in fashion textbooks, where type was so important, but when I started in children’s, typography maybe wasn’t seen to carry the same weight. Every typeface has a personality. Most are adaptable; they don’t only work in one situation and one situation only. Once you start to get to know their characteristics, you can start to find ways to bring out the best in the typeface. I’ve found that having the right type will make or break a cover, so I often spend as much time finding the right type as I do coming up with the right image. A great thing about the YA market right now is the focus on hand lettered typography. It opens the doors to so many more possibilities–it’s a blessing and a curse that way, I suppose! 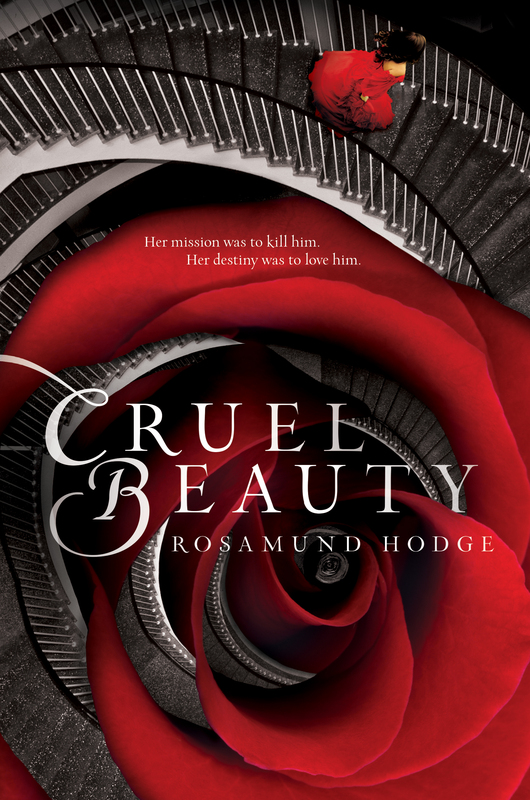 I have to mention the cover of Cruel Beauty because it is absolutely stunning. The red is so vivid and is hard to miss on the shelf. What elements of the story did you feel had to be conveyed in the final cover design? We definitely wanted to reference the classic imagery of Beauty and the Beast. In the story, the castle is as much of a character as Nyx and Ignifex, with its constant shifting and changing forms. Initially she is trapped inside and scared of what her destiny holds, but as the story progresses, she begins to see beauty in her prison. From the very beginning, I had this picture in my mind of the spiral staircase and a rose. I am so happy I was able to find the right imagery for it and bring the idea to life. For the two Mindy McGinnis books, Not a Drop to Drink and In a Handful of Dust, you did the design and art work. How is it different doing the artwork as well? It is super fun! I wish I had the time and skills to do more artwork, but for these I was able to create the compositions in-house. Because the books are so descriptive, and the scenery is so important, finding the right combination of imagery is key. Like with Cruel Beauty, I had a very clear picture in my head while I was reading both books, and I tried to bring that image to life for the cover. Fortunately, the picture in my head seemed to be the same as the picture in everyone else’s head! I think being able to pull the compositions together myself was what allowed them to be so successful. I love that the setting was so prominent in the covers since it’s so important to the story. The setting in both Mindy’s novels is like another character; the way she is able to bring the landscapes to life is remarkable. We actually presented the cover for Not a Drop to Drink without any figures at first, but our in-house team thought it was lacking the human element to really draw you in. I was upset at first, because I liked the starkness of the cover, but when I realized I’d be able to show Lynn standing on the roof holding her rifle, I was okay with adding her into the scene! It all worked together pretty nicely in the end. Thank you Erin for answering my questions and sharing information about the creation of book covers. Be sure to check out Erin’s beautiful site to see more of her work. I am giving away one of the book’s Erin has worked on–the winner gets to choose which one. If you would like a book that has not released I will do a pre-order for you. 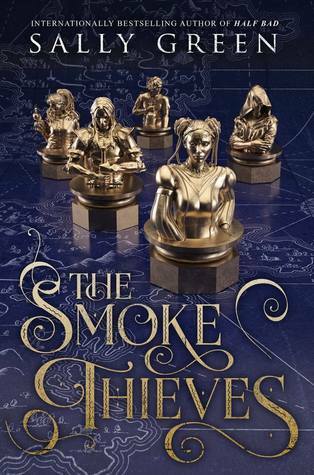 This giveaway is international (if Book Depository ships to your location). To enter you must be over 13 years of age. Cruel Beauty and Not a Drop to Drink are some of my favorite covers recently. They’re quite different, but I am not surprised that the same talented person is behind them. I have a couple of cover artist Pinterest boards and now I’m making a new one! The cover can make or break a book for me. It’s what makes me check out a book in the first place. I’d choose Tease or A Handful of Dust. I tend to become infatuated with books due to their covers–so I’m with you on the cover making or breaking a book. I try to not let it sway me too much…but I often fail at that. Lately I’ve been biased to pretty books more than not. I can’t afford too many things and I’d rather get a very pretty book than one that’s not. Erin’s designs are gorgeous! If I won, I’d definitely choose Cruel Beauty. I’ve had my eye on the book since I first saw it! I love the cover of Cruel Beauty…absolutely stunning. If I win, I’ll definitely choose In A Handful Of Dust! 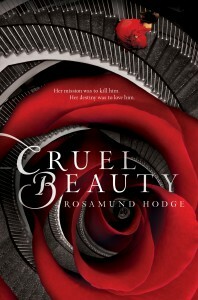 I’ve been dying to read “Cruel Beauty” ever since I saw the gorgeous cover so I would choose that one. I think the cover makes a HUGE difference–I’ve read several books that didn’t completely wow me, but I couldn’t help picking the book up because of the cover. Covers make a huge difference to me too. They set the tone of the book–I try to not judge a book by its cover but I never seem to succeed. Love to win a copy of Kat Zhang’s What’s Left Of Me. The book cover is the first thing I go for when I walk into a bookstore, great work there Erin!! Yep, me too. When I’m scanning the shelves the books with great color, text and images pull my attention first. I have been wanting to read Not a Drop to Drink for awhile! Thanks for the chance to win! Great selection! Excited to read all of the above! I hope you read NaDtD soon. I really enjoyed it! Cover art definitely sways my opinion, even if we aren’t supposed to judge a book by its cover! 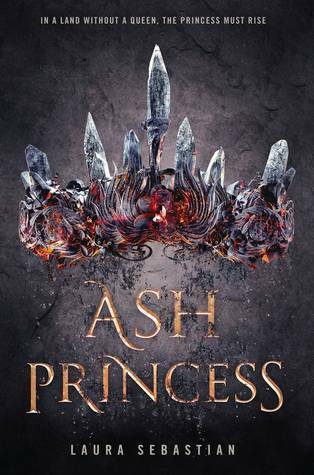 As for the book I’d choose, I’d probably go with The Selection Stories or a fall preorder such as Snow Like Ashes or Even in Paradise. It is so hard to not be swayed by a pretty cover. I never seem to succeed at it, haha. I’m very eager for Snow like Ashes. I love that you can relate to Erin in your design process 🙂 I agree, she is insanely talented. Just looking at the covers I’d have to say my choice would be September Girls. It reminds me of mermaids, very peaceful. Do I judge a book on it’s cover? Yes. Specially if I’m not completely pulled in on the info blurb. 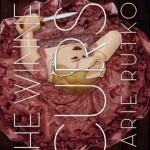 But if it’s a favorite author of mine the book could have the worst cover ever and I’d still devour the book. Both Cruel Beauty and Elusion have such beautiful covers. OMG WOW ERIN IS AMAZING! Cruel Beauty and Not a Drop to Drink and Elusion and The One and ahhh! So much talent! Her work is so beautiful and impressive! I know…I try not to judge but I’m not very good at it. Cruel beauty is my favourite so i would be happy to win that one. Thank you Miki! So happy you learned more about the process. These covers are sooo beautiful. I never really thought much about the cover designers, but MAN ALIVE are they so talented. I’d love Cruel Beauty, all I hear is amazing things about it. 😉 I think it’d be really exciting to be a cover-designer, but so, so hard. Right!? I was so honored she stopped by to answer questions. I imagine they have intense schedules. I love her work so much and now when I buy a book with her cover it’ll mean that much more to me. These covers are all so gorgeous! And I bet they’re even better IRL (I know Cruel Beauty is. Got it today. SO PRETTY), If I miraculously won I’d have to go with Not a Drop to Drink. And YES cover influences whether I buy it or not. Well, at least my interest. Pretty covers are added to my list a lot quicker because there’s a bigger need to know what it’s about. I totally agree with you on that…the pretty covers grab my interest then I check out the summary, etc. I’d definitely go for ‘Not a Drop to Drink’, I have been wanting to read that book forever and I absolutely adore the cover so much! Nice covers always make me want the book even more. It’s very important to me to be honest. I hope you love it when you get around to reading. I thought it was excellent. I’m such a sucker for pretty covers. 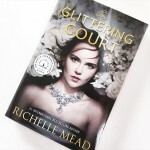 Even if the blurbs for Cruel Beauty and Not a Drop to Drink weren’t great (’cause they are), I’d still have to fight the urge to one-click them b/c of the covers (ESPECIALLY Cruel Beauty). 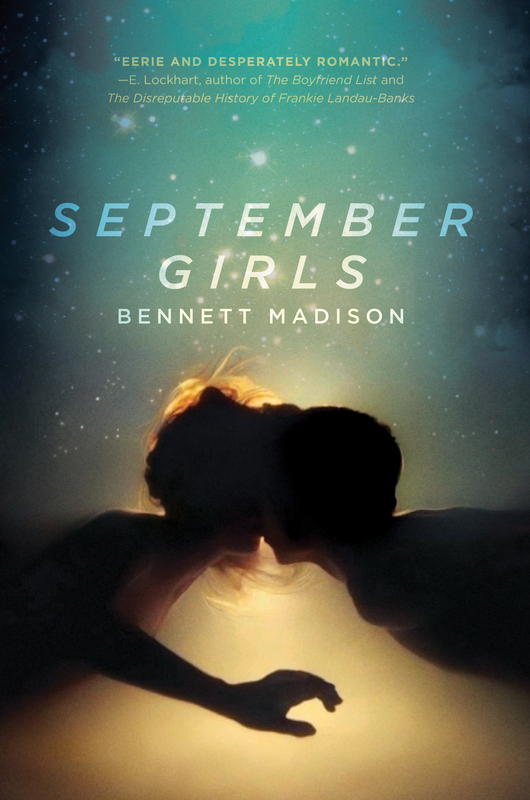 And I haven’t heard much about September Girls, but it’s cover is absolutely enchanting. Well done! I’m a sucker for them too. I’ve seen very mixed reviews for September Girls. I’ve not read it myself but I’m sort of curious about it (the blurb didn’t appeal to me). Thank you Jessica! The pretty cover draws me in…then I bother to look at summary and rating/reviews. Thank you for stopping by! You’re welcome! There have been a lot of wonderful releases this year so far. And so many more expected over the next few months. i would LOVE to win a copy of IN A HANDFUL OF DUST because i’ve got CRUEL BEAUTY and NOT A DROP TO DRINK. i love all the covers that you’ve done, Erin, and yes, i can be easily swayed by a beautiful cover!!!! In a Handful of Dust might just be my favorite cover of the bunch. The colors are lovely. I love absolutely love this blog post! I didn’t realize that the same designer made several of the prettiest book covers out there. My favourite things about all these covers is that they’re pretty simple looking but have amazing colour schemes. I’d love to win In a Handful of Dust so it can match with my copy of Not a Drop to Drink! I wasn’t aware either! Now, looking back I can see some similarities in style. hers are some of the prettiest without a doubt. Unfortunately the cover has major influence so Cruel Beauty and September Girls are gorgeous! Yes! 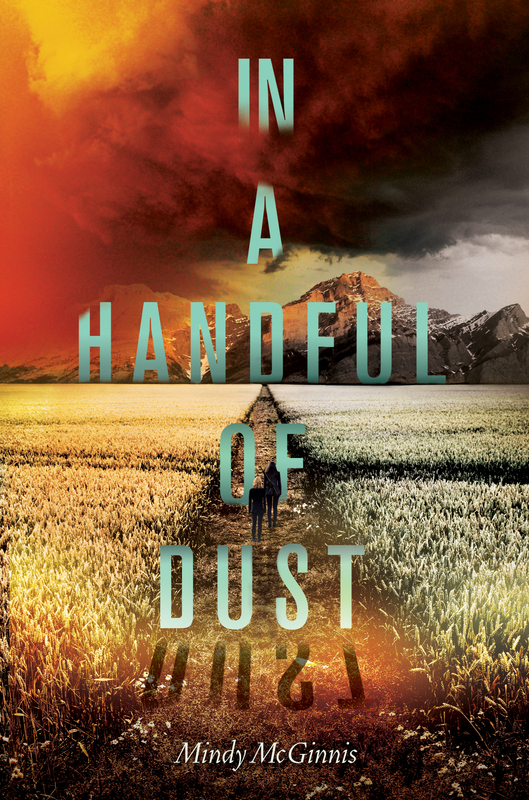 You could choose a pre-order of In a Handful of Dust. I’m desperate for a copy myself. So beautiful. So happy you enjoyed the interview Carina! Cruel Beauty, not only do I LOVE retelling that cover is breathtaking. I judge a lot of books by covers and titles or at least it gets me to read the synopsis. Not A Drop To Drink would be my choice. I always look at the cover of a book to help me decide. That is the main focus of my decision. If not for the cover I wouldn’t want to open the book. I know they always say “Never judge a book by its cover” but I am guilty of doing so. If a book has a book cover that is beautiful it definitely makes me what to check it out. I love all the covers of these books. Erin has a mighty fine talent. Thank you for the interview. Always interesting to hear how a book cover gets designed and chosen. My choice would be In a Handful of Dust. Thank you. Cover art always sways my decision about picking up a book – it’s the first step in my decision-making process, together with title. If I won, I would choose Cruel Beauty! LOVE the cover, and Beauty & the Beast is my favorite fairy tale for retelling! Thanks for the awesome interview, and the giveaway! All the book covers are beautiful! But I would pick Not a Drop to Drink because it sounds really really interesting and it sounds like a good read! Oh man, this is such a brilliant interview. You asked some fantastic questions. 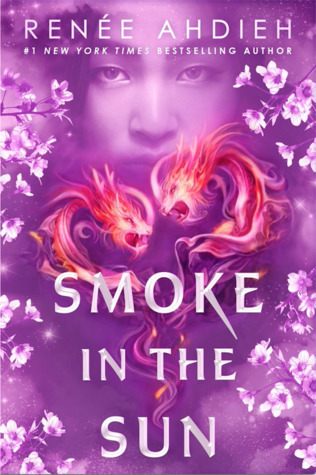 Covers are pretty important to me–although maybe less so these days, since I have a Kindle–and I’m not even ashamed of it, because the cover is supposed to convey the feel of the book, you know? Ugh, I love this interview. I think I’d pick Cruel Beauty. And yeah, I’m guilty of judging a book by it’s cover. If I don’t like the cover that much, I’d usually just guy it on my kindle. I would pick Not a Drop to Drink. The cover has a huge effect on which book I’ll choose to read, if the cover doesn’t catch my attention I’ll just pass it up. I would choose September Girls 🙂 Thanks for the giveaway! Fantastic interview! 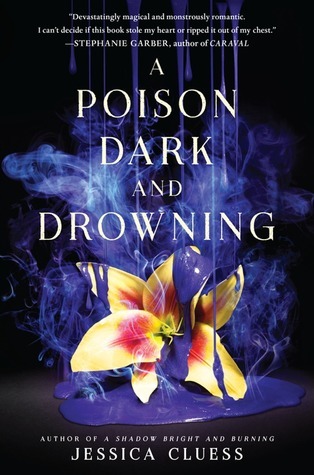 I love all her cover designs.I didn’t realize Erin also did Taken, but now when I look at it, I can see a similar feel to it as Not a Drop to Drink. I’d probably pick Cruel Beauty because I love the cover and story haha. A gorgeous cover does have some sway with me when it comes to buying books. Sometimes I can’t resist a pretty cover for my shelf (: I love the design of September Girls, too! I hadn’t connected all her work either. they are all covers I have been attracted to and loved. She is so talented. 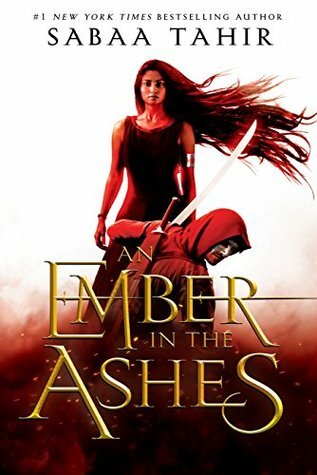 I love the cover of Snow Like Ashes–the summary is good but that cover has me wanting to read it the most. haha. What an interesting post on the cover artist! All of these covers are fantastic. Book covers definitely influence my purchases. I would love to win a copy of Cruel Beauty. Thanks for the great giveaway. I loved this post ! I would choose In a Handful of Dust. I loved Not a drop to drink and I can’t wait to read the sequel. 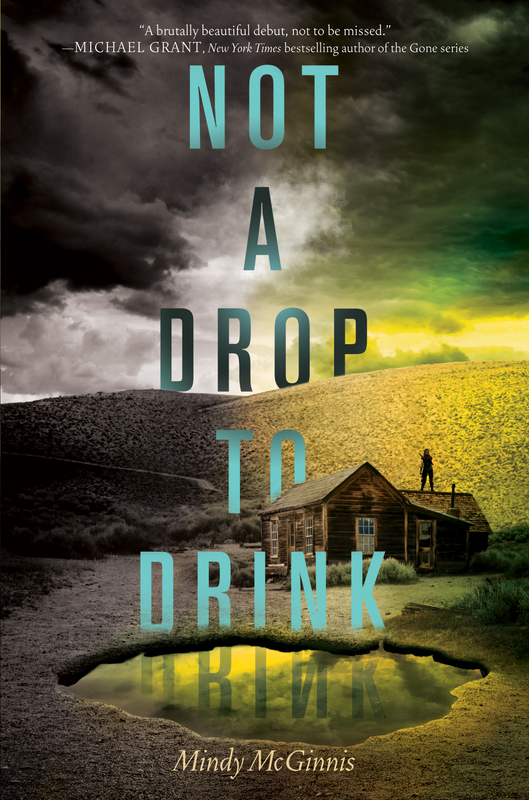 The cover for Not A Drop to Drink and well all of them are gorgeous! I know, me too! I was so happy to hear there would be a companion novel. I can not wait to have it in my hands. These are some of my favorite book covers of the last year! And all from the same brilliant designer–who knew? Not a Drop to Drink especially grabbed me. 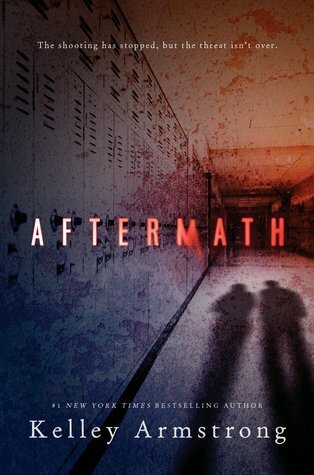 Book cover art is super important to me when I read, and I’m really into books with unique or prominent text, like NADTD. And what an interesting and different interview! Thanks! I really love prominent text too. I love the title taking up the entire front. Really pulls me in. So happy you loved the interview! Cover art ALWAYS is the immediate draw for me. Then I’ll look into the blurb more. I think Erin is truly talented and even though Cruel Beauty is my favorite I would choose House of Ivy and Sorrow. Great interview! I love hearing about covers!!! I’d choose Cruel Beauty because I love the rose (which ties into the tale) and how it looks like part of the foyer. i always buy a book by the cover…i don’t like ugly cover.. I would love to get Snow Like Ashes, or Dorothy Must Die! Sometimes the cover art is to pretty that I can’t help but just buy it even if I don’t know what it’s about! I really love the Dorothy Must Die cover. Felt it was perfect for the summary and drawing attention. MY GOODNESS I adored this interview, it defiantly helped answer some of my questions! Covers do not tend to affect my liking of a book, but if something is catchy then I will defiantly want to read it. Interesting to see the whole process of designing a cover! I don’t think many of us realize how much work it actually is. Yep, me too. I try to base it on the blurb too but covers lure me and a lot of time I can’t deny it. I love learning about the process of making the covers and everyone that is involved. The entire publishing process is fascinating. Cruel Beauty or In A Handful of Dust! The reason for choosing those would be partly just the cover art and partly also the reviews I’ve read for Cruel Beauty and the fact that I absolutely adored Not A Drop To Drink! Cruel Beauty. First and foremost on purchasing a book, I look for reviews or read the synopsis of this certain book on Goodreads/Amazon and other blogs. Book covers are relatively important, Although sometimes you are drawn to a very gorgeous cover and you tend to buy it, I confess that it usually happens to me but only very seldom. I am drawn to beautiful covers and will be more inclined to read the book even if the summary isn’t one I’m 100% sure I’d love. This often works out and introduces me to a new author or genre. I have been wanting to read Not a Drop to Drink ! I love all the covers.When I purchase a book,I read the review first. I hope you love Not a Drop to Drink–I thought it was such an amazing read. Definitely yes! I’d love to win Not A Drop To Drink!! Sooo awesome. This is so exciting. I would choose Cruel Beauty. YES! Font/Type is SOO important. It can completely ruin a cover for me if its all wrong. What a fascinating process. And you know I always wondered just how many of the books the artists design for actually read the book before going to work. Fantastic interview, Kristen! I loved that you threw in a question about typography! It’s one of the things I’m most drawn to on a cover, and I totally agree that it can make or break a cover. I can’t tell you how many times I’ve seen type that looks “cheap” somehow. I would have to choose In a Handful of Dust because, as you know, I LOVED NADTD. and I can’t wait to read the sequel. Cover art is SOOOO important to me. I would choose In a Handful of Dust since I ADORRREEEDDD Not a Drop to Drink. I like to have Cruel Beauty. Not a drop to drink! yes the cover draws me in! I’m such a sucker for pretty covers! I can’t help myself sometimes! I think I would choose Not a Drop to Drink. I would choose Not A Drop to Drink. Yeah, cover is one of the many factors when choosing what book will I read. I have to be honest–I am a cover art whore. If the cover doesn’t look professional, in my mind, the story won’t be professional and well-written. September Girls looks terrific!! It’s great to know who’s behind the covers! The ones shown here are definitely some of my favorites. I especially love the typography on Mindy’s books! 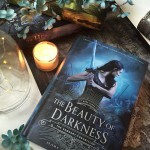 And yes,,,cover art definitely holds a sway to my book buying decisions…I’d pick Cruel Beauty! I’m definitely sucker for a pretty cover and yes, I bought a book(s) (more than once!) just based on the cover. 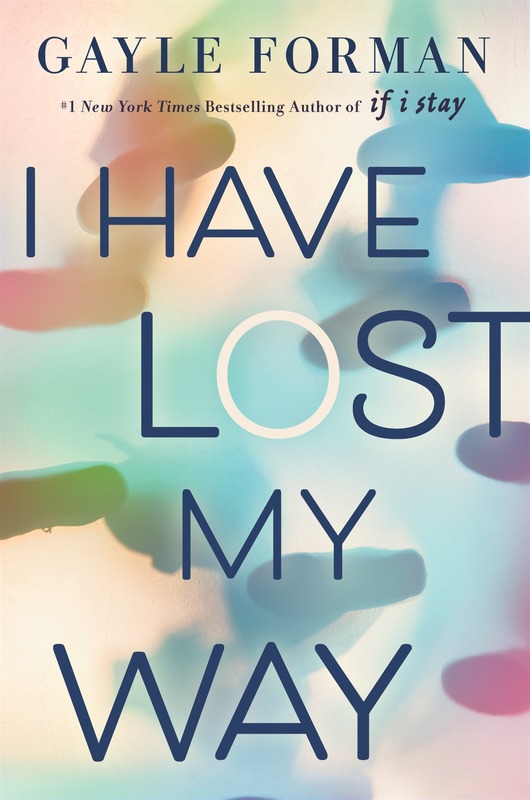 Also, cover art does help sway my decision to purchase a book, especially if the debut author is involved. I would choose Cruel Beauty. 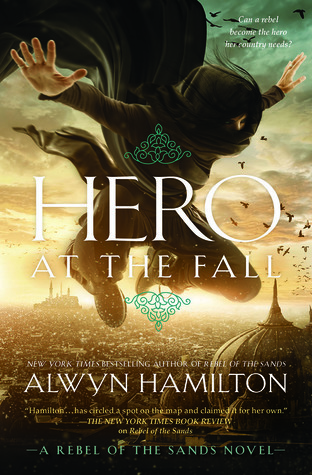 And yes, a cover art is important for me when I buy a book, I love pretty covers :D. Thank you for the giveaway!